Our in-house manufacturing unit has the capability and is technologically equipped with modern tools and equipment for creating the best custom moulds of plastic. The company has been focusing on export quality mould products since the time of its inception. Most of our exports are sent to the European and North American countries, and its quality strictly adheres to the HASCO and DME international standards. Our expertise and proficiency lie in our rate of supply within the international markets. 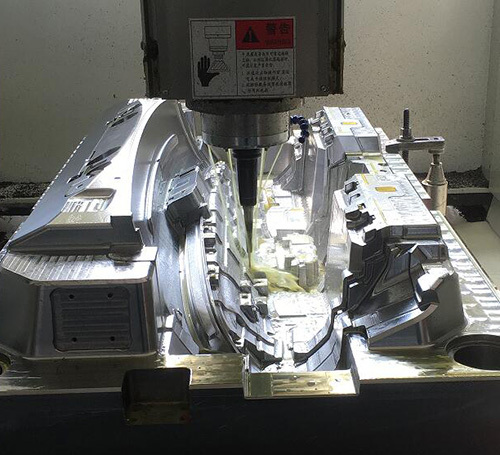 The approximate supply rate of our manufacturing unit is 25 units of moulds in a month and we are striving to increase our growth rate over time. This supply rate depends on the complexity of the design provided by our esteemed clients. The other factors that affect our supply rate includes – the rate of supply of mould bases by Lung Kee Group, the heat processing treatment and the steel to be used according to our client’s specifications, our machine capacity which is about 7.5 ton and even our precision of 0.005mm. On an average, we strive in completing the whole process within a time period of 25-35 days. Below is a list of the mould steel our manufacturing unit uses to make the perfect export quality moulds. 1.2344, 1.2343, S136, LKM2316, LKM738H, 1.2083, 1.2312, 1.1730, H13, P20, P20H, P20HH, NK80. Our manufacturing unit ensures undivided attention of all our staff workers during the process of injection mould making to minimize the costs. Our special attention is what lowers down the cost of making, as compared to other manufacturing units in the competition. Despite all the hurdles and setbacks from our leading suppliers, we ensure quality perfect designs, avoid reworking and practice time efficient processes to ensure the delivery on time. Over the years, our client satisfaction rates have grown exponentially and we are striving to be better for the coming demands of the market. According to our previous year’s reports, there has been a 97% positive feedback for our plastic injection moulds. Our in-house manufacturing unit has the best moulding facilities and equipment meant to fulfil all the requirements of our clients. Before placing an order, we encourage our clients to have a tour of our manufacturing facility to build a sense of trust in our company and what we are really capable of. We accept all sorts of orders for custom made plastic injection moulding. Our manufacturing unit houses the China mould maker which has the capacity to create custom plastic injection moulds for the clients at a very cheap and reasonable price. Compare to other machines in the manufacturing unit, the Chine mould maker ensures speed and flawless efficiency at a very low rate. This specific feature makes our manufacturing unit stand at par within the best ranks in the market. Moreover, our moulding solutions have rarely been questioned for its results because we promise the best results. We encourage our customers and clients with a huge or small volume of demand to approach our company for best satisfactory results. 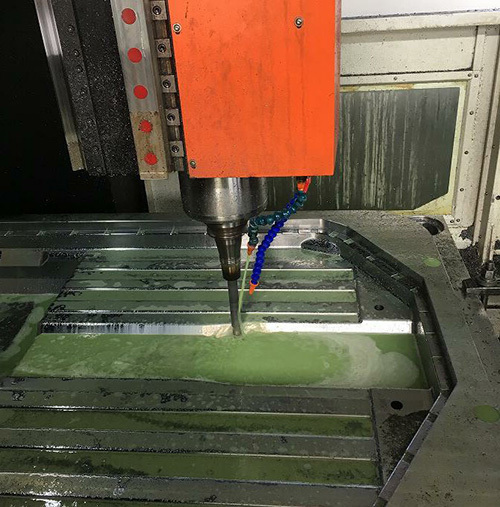 Along with the plastic injection mould creation, there are other services that our manufacturing unit provides to customers and clients. One such service includes high precision CNC machine parts of plastic moulds. 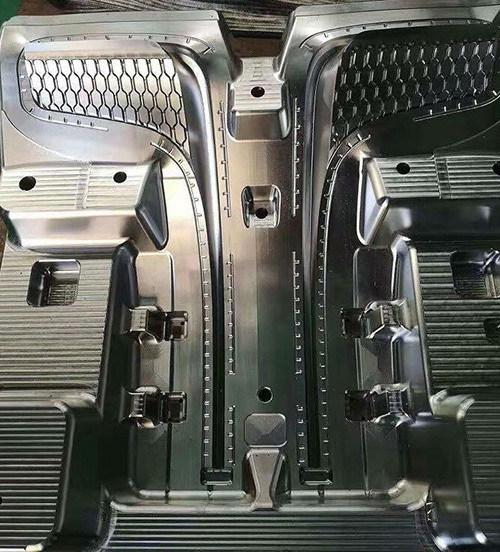 Along with plastic mould, we provide the same machine parts in die casting moulds with a precision of 0.01 – 0.02mm. The products are then sent to the client’s factory for the final fitting process. This is done to ensure that the fittings are done according to the satisfaction of the clients and also to save time – for both the client and even our manufacturing unit. This service can be availed by any client within a short period of time. It might take some extra time for the clients who seek the machine parts in harden treatment steel. The whole process along with the final delivery takes approximately 10 – 18 days, depending on the number of units and the complexity of the whole process.